Your intuition is sound. Others may thing you’re far-reaching, but that’s a product of being a visionary. Messenger Mercury sextiles serious Saturn. You can manifest your dreams. A karmic position opens for you. The Moon’s north node trines Mercury. It’s an invitation to create where you haven’t before. You have stellar back-up on Wednesday. Choose what attracts you most. The stability and beauty you have created moves up a notch. Often, before that happens, things fall apart. Or at least, you notice the cracks in the ceiling. This week, angst turns to triumph. Each moment takes you to something better. While you’re moving into new territory, Mercury trines the north node of the Moon. What’s unfamiliar pays off better and is actually more ‘you’. Spiritual underpinnings strip away the cobwebs. Uranus in your solar twelfth house brings light and revelation. Many of your dreams have arrived. It’s the endless details that may drive you crazy. They take so much longer in real time. Venus connects with Neptune. Your kindness, and patience with yourself and others, takes you exactly where you want to be. Career and insights you receive are a breeze. The Sun connects with the New Moon to break you free of any doldrums. You don’t have time to be complacent, and you won’t mind. The after effects are less a shake-out than a motivation. 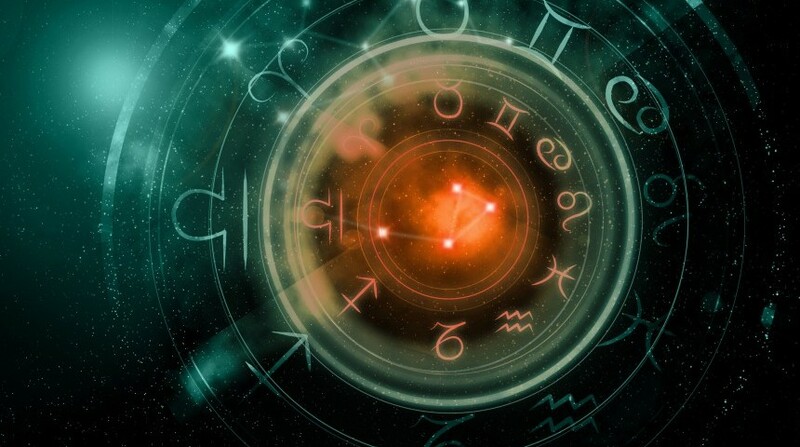 Venus conjuncts Neptune. This is when you get to daydream. Choose what helps you relax and trust the universe. It may come true! What kind of a week will you have? Leo is ruled by the Sun, the heart of the galaxy. Uranus now firmly in your solar tenth house shakes up your career. Or could it be you who suddenly realizes things are too static? The New Moon merges with the Sun, breaking free from the past. This week’s ideas send you into the world like the fireball you are. Virgo is known for infinite patience. This helps you with repeated tasks until they’re mastered. The New Moon connects with the Sun. These two luminaries add heat and energy to any thought you have. Motivation and inspiration are key words. A challenge sharpens your focus. Cultivate your desired direction. There is plenty to distract, but you can handle that, too. You have what it takes. The apex of your week is around long-term commitments. The New Moon and the Sun merge in your solar seventh house of relationships. Clarity and action pay off. Surrendering to the greater scene allows you to flow comfortably. Effort is not needed. As you find safe inner shores with their secret coves, friends and responsibilities no longer overwhelm. Time as we know it never really existed. How can things move in a timeline if none of it’s there? Your underpinning supports are changing. As you move to the next level, more is expected, so naturally you’re on point. The New Moon and Sun blend to add action to each equation. Luckily, Mercury sextiles Pluto, so speak from your place of authority. You have access to a deep power. You have a ‘direct connect’ to the internal whispers of ‘why’ this week. The New Moon conjuncts the Sun in your solar fifth house. While energy for romance, children, and creativity are given a boost, there’s something more in it for you. Mercury trines the north node of the Moon. You may need to take on an unfamiliar role. Surprisingly, you’re going to like it. Maintaining the status quo while embracing change is a tricky place to be. Yet, somehow the shy sign of discipline and tradition is asked to undergo a transformation. Not one to insist on attention, you’re still thrust into the limelight. 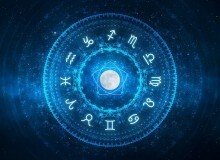 The New Moon connects with the Sun to make life at home burst with activities. A door has opened for a bit of free flight. Your high-quality antennae for the unusual serves you once again. Intrigued by finding out who made the rules? You’re opening up a whole new avenue to traverse. Venus in your solar second house helps pay the bills as you do a bit of research. The New Moon connects with the Sun in such a way that you may not stop from saying things before they hit your lips. The tone of this week is soothing. Venus conjunct Neptune in Pisces softens the edges. The New Moon and Sun in your solar second house upgrades a round of financial advantages. Focus, energy, and connecting with what inspires gets you out of a previous cycle. It will happen quickly, and there won’t be much time to reflect. Which is freedom in itself.